An impressionistic and imaginative work for guitar ensemble based on a line from a poem by Mervin Peake, to whom the work is dedicated. 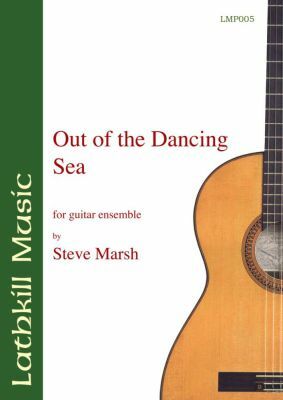 "A fantastic night's entertainment ... That last guitar piece (Out of the Dancing Sea) was amazing". "We thought the Ensemble sounded fantastic last night and I was mesmerised by the new piece "Out of the Dancing Sea". Individual parts are graded from grade 1 through to grade 7. 25 pages with separate parts.